House of Friendship of Nations in Wroclaw is the largest cultural-educational centre of the "East-West Mutual Understanding" Association. It was founded 1st April 2014 by the Association's Board to achieve statutory goals in the fields of culture, education and youth in the city of Wroclaw. 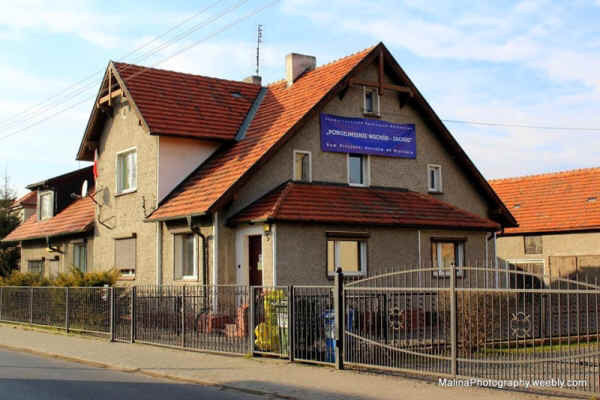 House is located in Wroclaw (Jerzmanowo district) at Street Jarnoltowska 5. Since the beginning of March 2014 were conducted maintenance work and renovations in the House. From the 1st April 2014 in the House lives foreign volunteers from countries of Central and Eastern Europe and the Caucasus, hosting in our organization in the framework of the European Voluntary Service program. On 26th July 2014 took place grand opening and sacrifice of the House. Honorary ribbon-cutting ceremony in the presence of many honorable guests from Lower Silesia and other regions and abroad, made President of the Association Mr. Blazej Zajac (Director of the House of Friendship of Nations) and District Administrator (Chairman of Board) of Olawa District Mr. Zdzislaw Brezden. Ceremonial sacrifice was made of Fr. Prelate Zdzislaw Pluta (Rector of the Our Lady Queen of Poland Roman Catholic Parish in Wroclaw-Jerzmanowo) and the Orthodox Church clergy: Fr. Mitrates Stanislaw Strach, Fr. Grzegorz Cebulski and Fr. Marcin Prokopiuk. The musical setting ceremony provided folk band "Gieni Dudki" from Nadolice Wielkie. In the House are organized cultural and educational projects; there are clubs and thematic workshops. Most activities are free of charge and available to all. The main building of the House is approx. 400 m2 of usable space. Address: House of Friendship of Nations, ul. Jarnoltowska 5, 54-530 Wroclaw, Poland. Access by public transport from the center of Wroclaw: buses No 109, 609, 249 from the stop "Dworzec Swiebodzki" to the stop "Kosnego". The House is located 50 meters from the bus stop (next to the pharmacy).